The 1 January 1917 began with historical echoes of the previous year. The year 1916 coincided with many great stories of a changing society in Cork from the adjustment of the clocks to Greenwich Mean Time to differing attitudes towards the Easter Rising versus those on the front lines in trenches in France to the celebration of Irish culture through the architecture of the new Honan Chapel. As the year progressed, so many different aspects of Irish culture and society came under bombardment or were progressed as outlined in the various Our City, Our Town columns last year. I hope for the next few weeks to write about some key themes of physical, social and political developments in the city and region in 1917. A study of the daily news stories that made the headlines in local newspapers such as the Cork Examiner at first glance showcase a less eventful year than 1916. Controlled by the British government, censorship was ever present in the newspaper. However, taking many of the overarching news themes over a year, one can see key changes within society to how to best approach society issues such as war, industrialisation, the political quest for Home Rule, the role of the church, the role of violence in campaigns for a United Ireland, the impact of the re-emergence from prison of key Easter 1916 Rising key participants in late Spring 1917 such as Éamon DeValera and Countess Markievicz. The Countess herself brought a renewed call to rebellion in public meetings on the streets of Cork and Clonakilty in mid-August 1917. The news of the first week of 1917 set the undertone for what was to come. War was ever present and by the late spring of 1917, one can feel the closeness of the front of war to Cork as more and more references are given to German submarines waiting in Irish waters to attack mercantile vessels. There are also continued references to Irish soldiers in various battalions awaiting action on the frontlines. The Reserve Camp of the 3rd Battalion Royal Munster Fusiliers in Aghada was focused upon on the 1 January 1917 in the Cork Examiner as a space of peace and quiet over the Christmas period. The Royal Munster Fusiliers raised a total of 11 battalions from the pre-war, two regular and two reserve battalions. The 3rd (Reserve) Battalion was mobilised at Tralee on 4 August 1914 and later that month deployed to Berehaven and Bantry Bay for training. In October 1914, it was moved to Cork. In May 1915, it was relocated to Aghada and Cork Harbour. Here the camp was tented and hutted in nature because nearby Fort Carlisle was full. 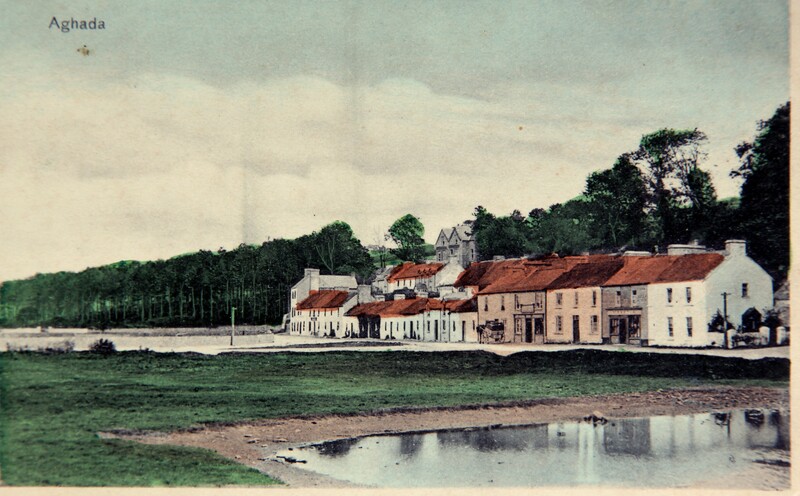 The camp was in a field opposite the Presbyterian (former Church of Ireland) Church. The reality of the hutted camp was that it was in a poor state of repair, the training grounds confined to a few fields with no elaborate training trench system and the musketry course was thirty miles away in Youghal. On Christmas Day 1916, Christmas Services were held in the Catholic Church and Presbyterian Church for the Battalion. The Christmas dinners in the various companies commenced at 1 o’clock, the huts where the dinners were served were decorated. The Commanding Officer, Buttevant man, Lieutenant-Colonel Richard Sherlock Brasier Creagh, visited the various companies, where he was joined by the company officers. He read the King’s message to the troops, and expressed the hope that “the men were thoroughly provided for, and that they would enjoy themselves to the fullest extent”. In addition to refreshments, tobacco, cigars and cigarettes were distributed among the men. In the evening a dance look place in the local Y.M.C.A. Hall. In October 1917, the Battalion was re-located to Ballincollig and in November 1917, the battalion was moved to England at Devonport. A key term shining through various historical sources for the City and region in 1917 is that of Americanisation. The year 1917 was to coincide with re-election of President Woodrow Wilson and the subsequent call by the American House of Representatives and Senate to declare war on Germany. 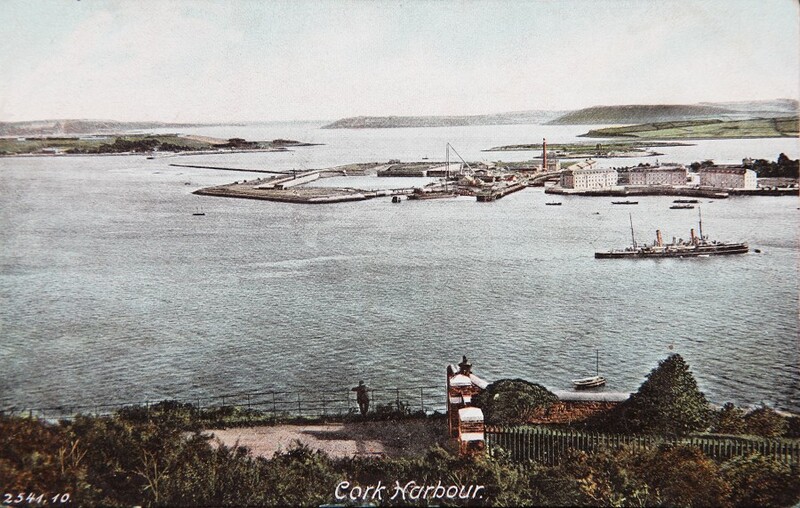 Through entering the war in April 1917 there arrived to Cork Harbour fleets of gun ships to attack the increasing attacks of German submarines, and a proliferation of American soldiers into the towns of the Harbour area and Cork City. At the end of January 1917, Germany, determined to win its war of attrition against the Allies, announced the resumption of unrestricted warfare. Another key piece of Americanisation was the negotiations to bring a Ford tractor factory to the site of Cork’s City Park Racecourse and Deep Water Quay at the Marina. By January 1917, negotiations between representatives of the promoters and the heads and legal representatives of the local public bodies concerned, had been brought to a successful conclusion. It was announced in the press on 1 January that all preliminary details had been arranged, and that, subject to the necessary Parliamentary sanction being obtained i.e. the Cork Improvement Bill – everything would be in order and the scheme could proceed. These Parliamentary powers were to be sought for immediately but it would take until mid-July 1917 before the bill got final royal ascent after passing through Westminster and the House of Lords.